In 2007 Emerging Markets (EMs) were riding high. The mood in China was particularly upbeat. With the country rapidly approaching Japan as the world’s second-largest economy, the Shanghai equity market posted gains of 96%, having already risen 130% the year before. How times have changed. Now the financial pages pronounce on a daily basis that EMs are doomed. Of the BRICs, Brazil is mired in corruption scandals and faces a collapsing oil price, while Russia has been ostracised by the West following its activities in Ukraine. At the same time, India continues to grapple with decades of under-investment which, despite Prime Minister Modi’s restructuring efforts, will take many years to rectify. That leaves China. China is in the unfortunate position of having been relied on as the world’s primary engine of growth since the Great Financial Crisis. Indeed, even with a recent recovery in the US, China represents over 50% of the growth rate of the G7 and BRIC economies combined. That a maturing economy of $10 trillion should see a slowing rate of growth is an economic fact of life. Unfortunately, with the West still heavily reliant upon China as an engine for growth, a sharp slowdown could send shockwaves across all major economies and their financial markets. We will try to address these in turn. The FOMC has clearly indicated to the markets that we are on the cusp of a new monetary tightening cycle in the US, most likely to commence in September or December. It is 11 years since this last occurred, which might explain the excitement over an event that, when it occurs, is likely to be a damp squib on the day. To understand the potential impact that this event could have on EMs, we show below their performance relative to Developed Markets (DMs) over the past two rate rising cycles, which began in Feb 1994 and June 2004. 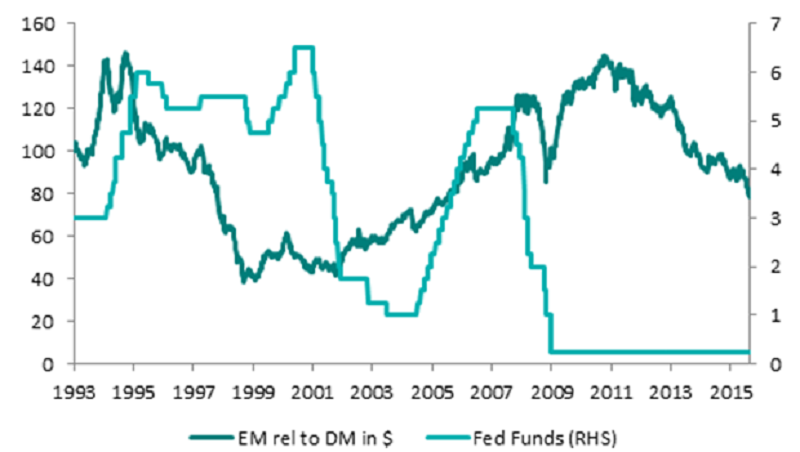 In 1994, EMs briefly underperformed after the initial rate rise, but subsequently rallied to peak in September of that year, despite the pace of tightening being faster than expected. In 2004, the Fed rate hikes began three years into a ten year EM boom, and had no discernable effect on their continued outperformance. The conclusion would seem to be that an upward trajectory in US interest rates is, in itself, no reason for caution on EM equities. Indeed, if it is a function of stronger US demand then there is a case to be made for it to be a catalyst for EM outperformance. That said, if tightening is faster than expected, this may result in widespread risk aversion. At this stage, it is too early in the cycle to form a conclusion on this. 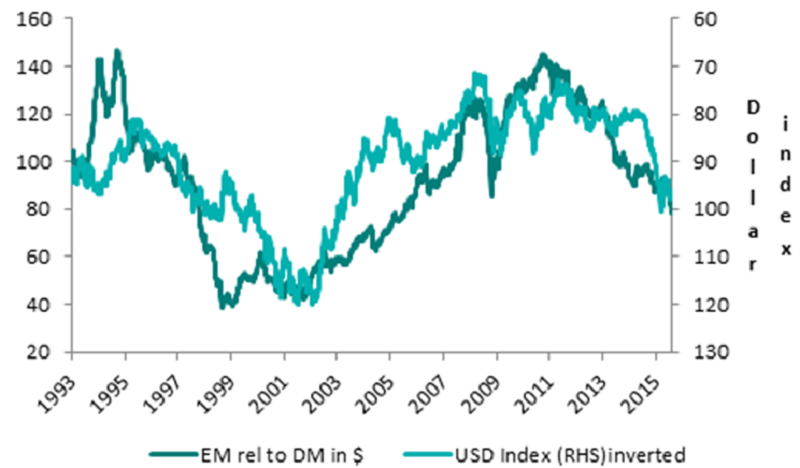 While the correlation of EM performance to changes in US interest rates is unclear, relative performance in a persistently strong US dollar environment is far less ambiguous. Again taking the same period to incorporate the last two US rate hiking cycles, the dollar (on an inverted scale) can be seen to be well correlated to EM relative performance, with a 78% correlation coefficient. With the Fed expected to tighten monetary policy soon, and the 2nd, 3rd, and 4th largest economies all easing policy, the case for further dollar appreciation is a strong one. The recent RMB devaluation, although small relative to other currency falls, increases the likelihood of further dollar strength. With a reported $1 trillion of EM outflows over the past 13 months, a vicious cycle of poor sentiment, foreign investment sales, currency weakness and market weakness seems likely to prevail. Turning to China, economic growth has undoubtedly slowed and would appear to be running significantly below the 7% target rate. The recent devaluation of the RMB seems to have been designed to help boost exports and stimulate economic growth. In our view, however, the yuan devaluation that we have seen so far will be insufficient, particularly given that many of China’s biggest trading partners have already seen even bigger moves in their own currencies. 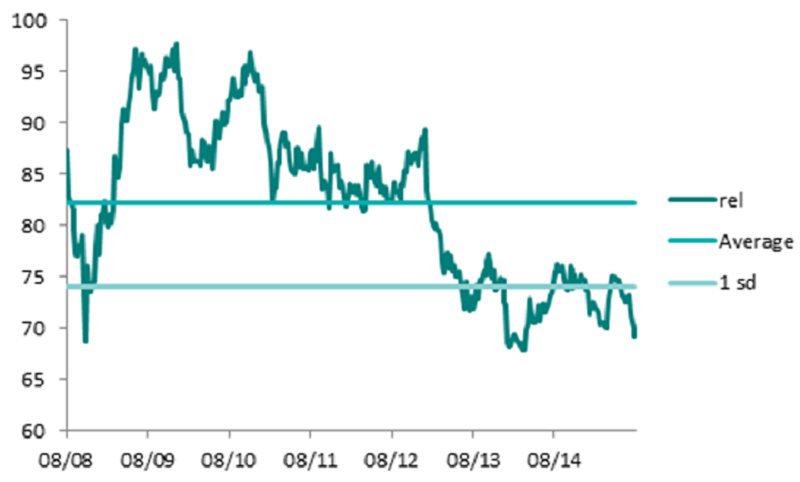 Thus, further currency devaluation from China seems likely. As China’s economy has slowed over recent years, the bears have pointed to an impending collapse in the banking system. At 1.3%, stated NPL balances certainly seem surprisingly low. Whilst NPLs appear to be on an upward trajectory, the Chinese banking regulator requires that banks maintain a coverage ratio of 150% and in aggregate Chinese banks have a conservative loan/asset ratio of below 50%. This suggests that, in theory at least, there remains plenty of capacity to absorb further loan deterioration. In terms of capital, most China-listed banks have core tier 1 ratios in excess of 10%. We conclude from this that, although NPL write downs seem set to rise in a slowing economy, strong capital levels, conservative regulation, and cheap valuations provide a substantial buffer. Many argue that China’s debt problems are symptomatic of a wider issue in EMs. It is certainly true that emerging economies now have $1 trillion of dollar-denominated corporate debt, making dollar appreciation particularly painful. This dramatic headline number is, however, only one side of the equation. In reality an increasing flow of foreign currency revenue counterbalances this debt at the corporate level, and $3.6 trillion of foreign exchange reserves help to offset borrowing at a national level. 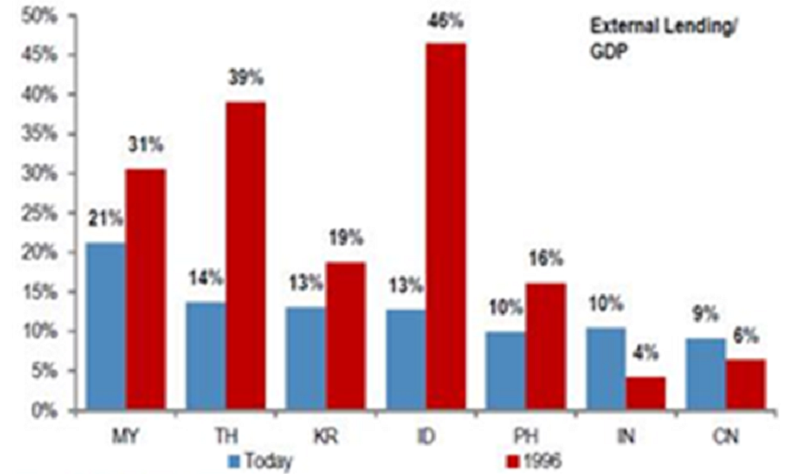 Comparing nominal data with the Asian crisis in the late 1990s, as some commentators have done, is misleading as the overall size of those economies has increased substantially (China’s economy has grown 12 fold since 1996). 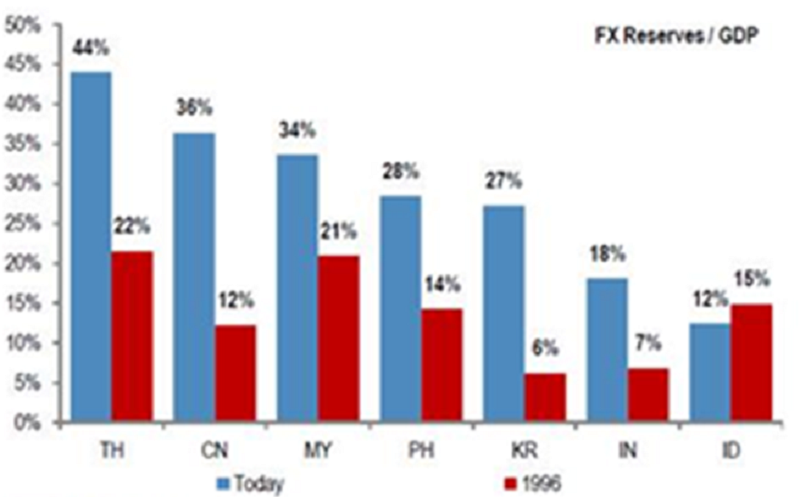 Relative to GDP, reserves are substantially higher in most emerging economies, and external debt similar or lower than in the Asian crisis – see chart. 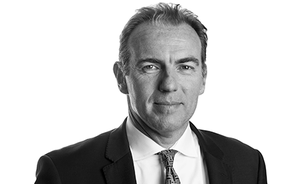 Whilst volatility and uncertainty has undoubtedly risen sharply in recent weeks, a read of the financial press would suggest that EM underperformance is a new phenomenon. In actual fact EMs have been underperforming for five years, lagging their DM peers by 45% over that period. So how much bad news is already captured in the price? Using a simple price/earnings metric, EMs are 1 ½ standard deviations cheap relative to DMs. On a price/book basis, the undervaluation is even more dramatic. 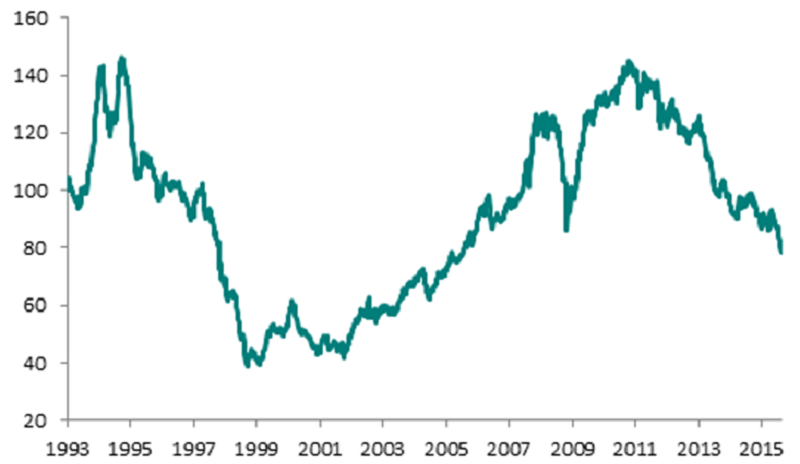 Sensationalist journalism would argue that Chinese equities in particular are substantially overvalued. This is misleading. Whilst the Shenzen A-share market trades on 44x historic earnings at the time of writing, Shanghai As trade on 16x, and Hong Kong-listed H-shares trade on only 9x. Instead of joining the stampede for the exit, perhaps we should look to differentiate between those economies that are most reliant upon foreign capital flows compared to those that are not. 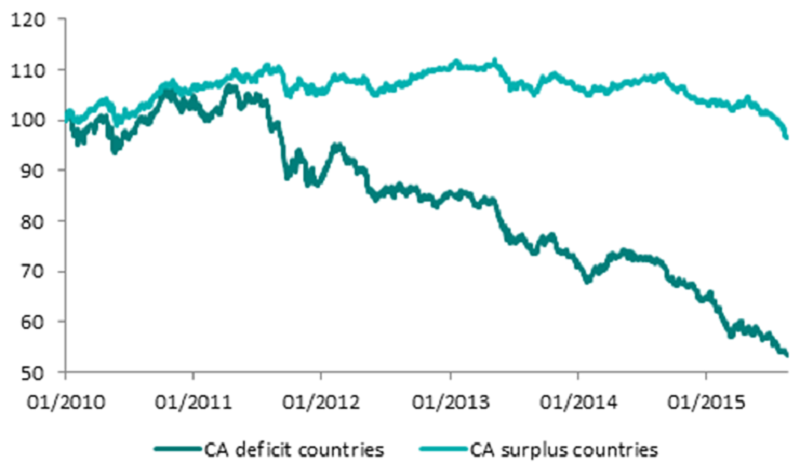 We created an index of current account deficit currencies to see how they fared over time against the dollar, and compared these to those currencies of current account surplus countries. The results show a huge divergence, highlighting the performance implications of being selective by country and the protection offered by shrewd currency management. In conclusion, the sharp deterioration in investor sentiment towards EMs and the persistent negative flows would suggest that it may be too early for investors to be brave. Indeed, with a strong US dollar, a slowing Chinese economy, weak commodity prices, and investor risk aversion, underperformance in EMs may well persist for some time. But as hysteria fades, fundamentals will reassert themselves. If the market is right that the Fed tightening cycle will be more gentle than the 1994 and 2004 experiences, then investors may be tempted back by the bargains on offer in the emerging world.